Optimizing images for your Blog is a very important step that most people forget about. 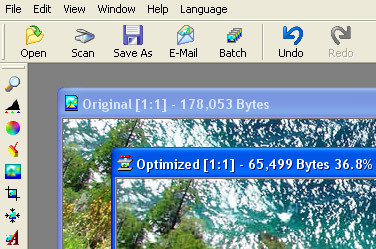 With “optimizing” I mean reducing the file size in KB (Kilobytes) and at the same time keep it’s high quality as intact as possible. In most blogs you will basically find three types of images: GIFs, PNGs and JPEGs. The advantage of optimizing your images is that your pages are going to load faster and this is a crucial point when you design a site. For example if you want to add your custom header or your custom RSS icon, you should optimize them.